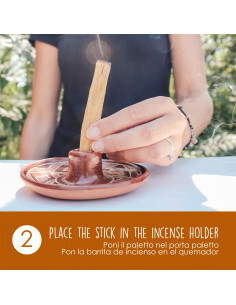 The products sold by Herborea srl are indicated with Palo Santo trademark, this brand ensures the best quality of products, quality of work and respect for the environment. Herborea SRL certifies that this product does not contain synthetic or chemical products added. Smell is one of the oldest senses: from the olfactory center of the brain, located in the limbic system of the brain seat of feelings, the thinking brain, which is the cerebral cortex, has developed. Aromas have a direct effect on our perception and this explains the strong influence that fumigations have on mood, emotions and state of mind. 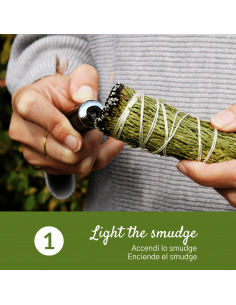 In this way you can understand the response of our psyche to aromatic smoke. In a closed environment, moods, thoughts, emotions, actions create vibrations ... they get their own scent, so entering a room or a house we can have the sensation of heavy air. Feelings such as fear, sadness, quarrel, tension etc. remain in the shape of vibrations, and odors. 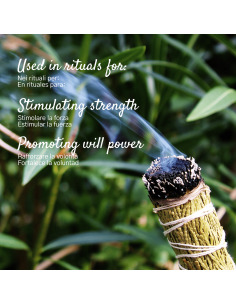 Nothing but incense fumes can bring harmony to the energetic vibrations of an environment.